Housing has the power to positively affect individuals, families, and whole communities. 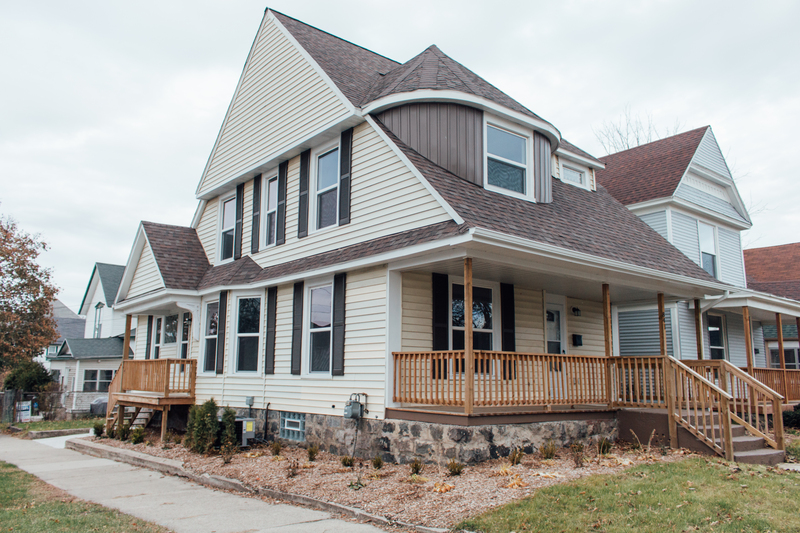 ICCF develops affordable, high-quality, energy-efficient homes that residents, our neighbors, are proud to live in. Why? Because every great home changes the lives of those living in and around it. Our neighbors benefit from these investments every day, while building assets that can be shared with generations to come. ICCF provides home ownership opportunities for income-eligible households by building or renovating single family homes and townhomes. We strive to offer affordable, efficient, and beautiful homes that complement the existing fabric of a community. The first step in purchasing an ICCF home is to connect with our Housing and Family Services department. For information on the home-buying process and first-time homebuyer training, please click here. 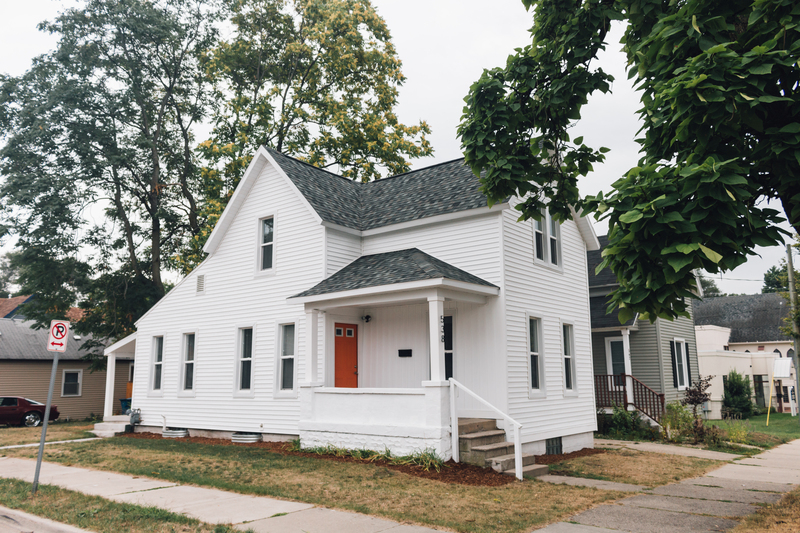 ICCF owns and manages over 160 affordable rental units scattered throughout southeast Grand Rapids. ICCF rental units serve a variety of income levels and family sizes with studio, 1-bedroom, 2-bedroom, and 3-bedroom apartments. Due to the high volume of applicants on ICCF’s affordable housing wait list, we will no longer be accepting applications at this time. ICCF provides home ownership opportunities for income-eligible households by building or renovating single family homes and townhomes. We strive to offer affordable, efficient, and beautiful homes that complement the existing fabric of a community. The first step in purchasing an ICCF home is to connect with our Housing and Family Services department. For information on the home-buying process and first-time homebuyer training, please click here. 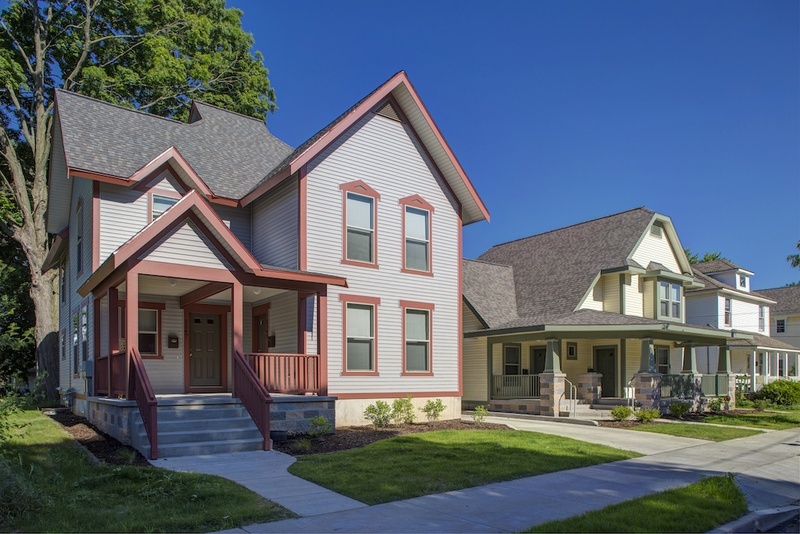 ICCF builds high quality, efficient, and affordable homes within existing neighborhoods. ICCF transforms existing houses that are vacant and dilapidated into beautiful, efficient, and safe places for families. ICCF builds townhomes within existing neighborhoods to effectively increase density and diversity. 435 La Grave at Tapestry Square is a mixed-use, mixed-income development currently under construction. 435 La Grave will feature ground floor commercial space, 8 market-rate housing units and 16 affordable housing units, with 6 of the affordable units reserved for youth aging out of the foster care system, for which ICCF has partnered with Bethany Christian Services to provide supportive services. 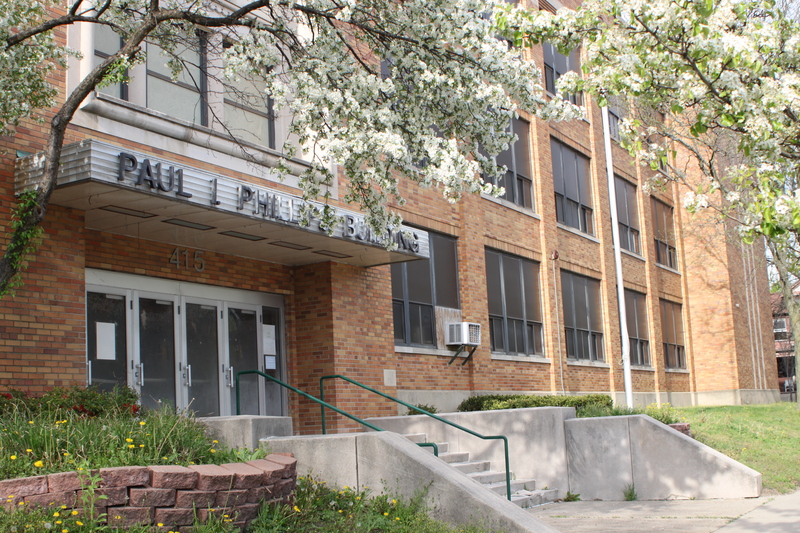 Closed in 2008, Eastern Elementary has stood vacant and lifeless for over eight years. ICCF purchased the school in the fall of 2015, and has made substantial efforts to clean up the interior and exterior of the building while exploring development opportunities. Eastern Elementary is located in the Highland Park Neighborhood, and we look forward to continuing our communication with the surrounding residents to explore how to best utilize this beautiful building. 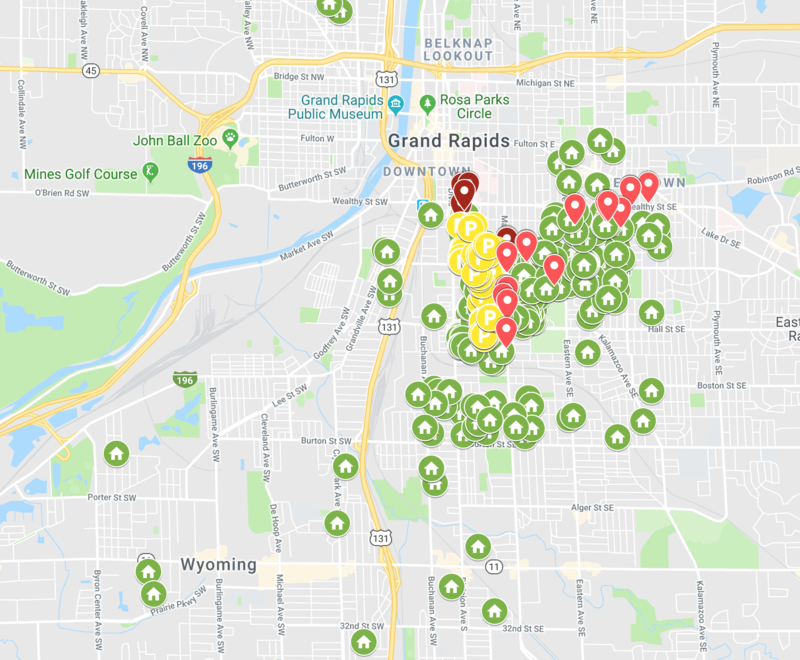 ICCF owns and manages over 439 affordable rental units scattered throughout southeast Grand Rapids. ICCF provides home ownership opportunities for income-eligible households by building or renovating single family homes and townhomes. ICCF is continuously pursuing new ways to create housing opportunities and programs that serve our communities and respond to God’s call to justice. This project is focused on revitalizing and restoring homes to families in our neighborhood, preserving these properties for affordable housing. It began with a purchase of 213 housing units in fall of 2017, something unprecedented in ICCF’s long history. ICCF offers a variety of rental and ownership options for income-qualifying residents in the Grand Rapids area.